Other than our stock list, our registered customer can check the Japanese auctions list to make their choice. There are several auction houses in japan and they sell cars on daily basis through auction system. If our registered customer selected car from any of the auction house by using login credential provided by our company. Customer can make bid to buy that product. Our dedicated team participate in live auction and bid different products in different parts of japan on behalf of our clients, if the bid fall in their price we buy it for them. 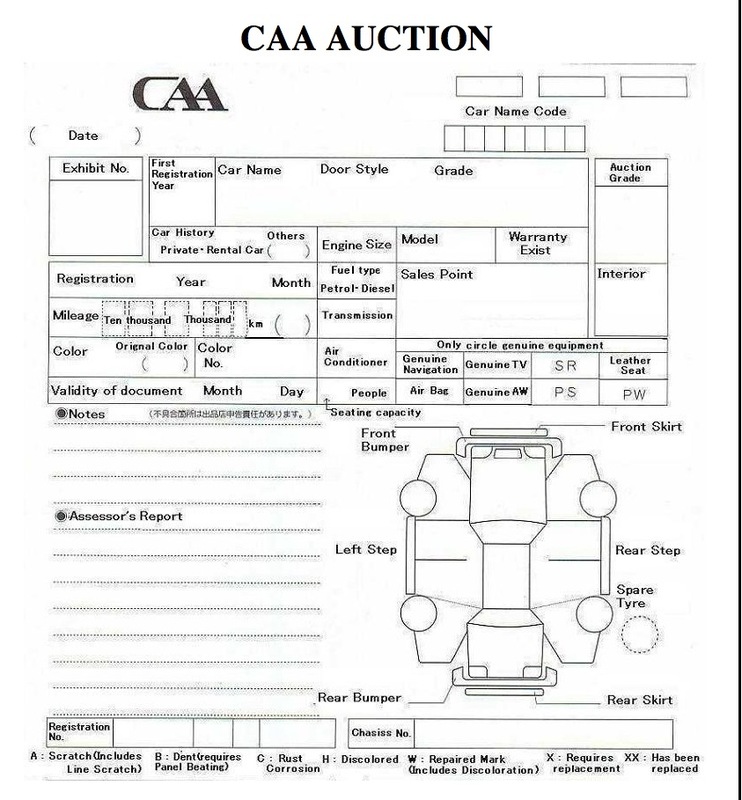 Note: The most important point for customer to keep in mind during selection of car is to check the auction sheet. 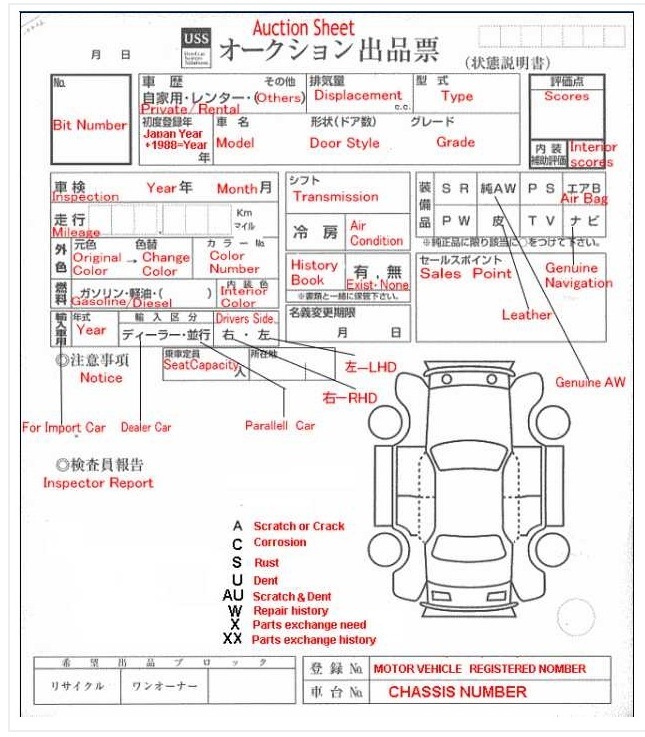 Below we are giving the sample auction sheet of the most popular auction houses in japan, with the help of that auction information one can understand the grading system and get an idea of the car condition, its registration history and market value of that particular car and make their purchase. The actual chassis number, to check all the related information. The actual production date and the date of first registration. If there are any scratches or dents. Is there any accident history. If there is any corrosion or rust on the vehicle. Any leakage, transmission problem or engine noise. If the vehicle has been painted. A New or near new condition. Repairs are unnecessary. B The most popular grade for export. Very clean interior. Minor repairs are not necessary. Other indicators on auction sheet.